New Delhi, 17 July 2017: The Ministry of Tourism has included “Guruvayur Temple” for development of infrastructure facilities under its scheme viz. Pilgrimage Rejuvenation and Spiritual Augmentation Drive (PRASAD). The project at a total estimated cost of Rs.46.14 crore has been approved in 2016-17. Development of Sabarimala - Erumeli- Pampa- Sannidhanam as a Spiritual Circuit in Kerala for Rs.99.99 Crore. Development of Sree Padmanabhaswamy - Arnamula-Sabarimala-as a Spiritual Circuit in Kerala for Rs.92.44 Crore. This information was given by the Minister of State For Tourism (INDEPENDENT CHARGE) DR. MAHESH SHARMA today in a written reply to a Lok Sabha question. The Ministry of Tourism has included “Guruvayur Temple” for development of infrastructure facilities under its scheme viz. 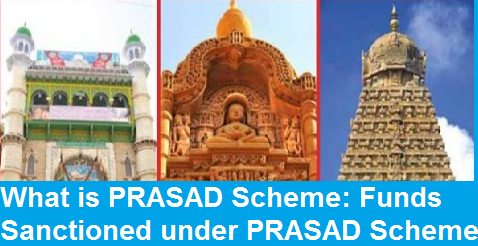 Pilgrimage Rejuvenation and Spiritual Augmentation Drive (PRASAD). The project at a total estimated cost of Rs.46.14 crore has been approved in 2016-17.